Inspired by a trip to the National Monument of the same name, Muir Woods pays tribute to the ancient Redwood groves near the California coast. These giants dwarf the surrounding forest like skyscrapers in a big city. 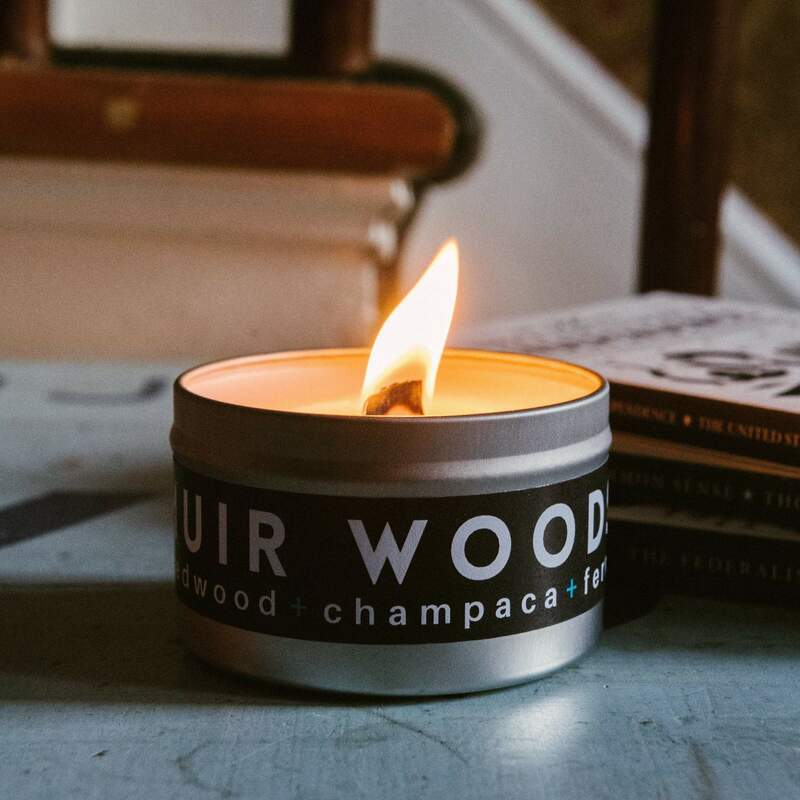 Our scent features notes of Redwoods, subtle florals coming from the Champaca flower, and Ferns that cover the forest floor. Features a wooden wick. Made in Garland, Texas. Burn Time | 25-30 hours approx.